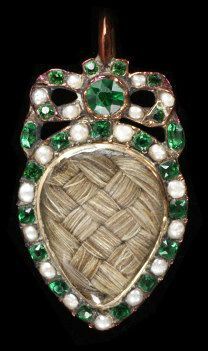 Hair had long been important in sentimental jewellery, but during the 18th century it took on a new prominence. 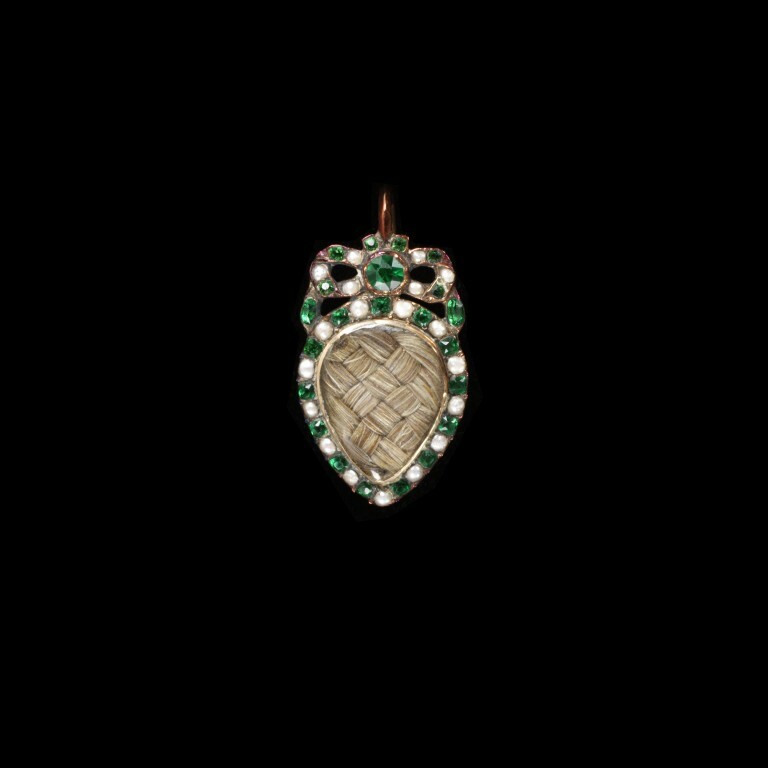 It could now form the centrepiece of a jewel, arranged in complicated motifs or as plain, woven sections. Tiny fragments of hair could even be incorporated into delicate paintings. Some designs were made by professionals, but many women chose to work the hair of loved ones themselves, using gum to secure their creations. Hair jewels were worn to cherish the living as well as to remember the dead. The survival of many pieces celebrating love and friendship indicate their great social importance. 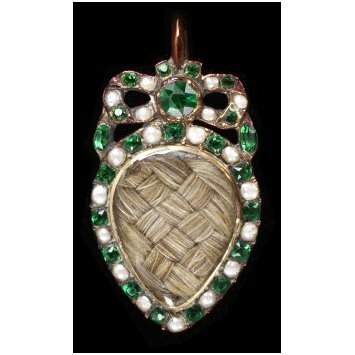 Gold locket with an openwork bow, set with half pearls and green glass pastes, enclosing plaited hair. On the reverse a painted coronet above the monogram FE. or EE.